He only knows that he is honor-bound to protect her. He owes her brother that much. 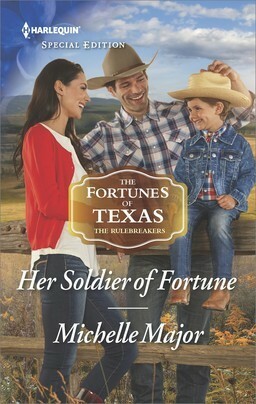 And ever since Nate Fortune found out he is related to the world-renowned Texas family, he’s braced for the unexpected. But nothing could have prepared the former navy SEAL for the reappearance of Bianca Shaw. The shy teenager Nate used to know as “Busy Bee” has blossomed into a beautiful young woman—and she’s just arrived at his Paseo ranch with a suitcase and her four-year-old son in tow. Two weary souls find a soft place to land, but will secrets tear them apart before they even begin?? With the first delve into the Fortunes of Texas new sub-series The Rulebreakers, Michelle Major steals our heart as she’s often known to do with a cast of lovable characters. A war-hero left with more wounds on the inside than on the out, a loving mother who needs a support system in life, and an adorable little tyke who steals scene after scene … the plot is well balanced with enough joy and romance to carry us through the strife that threatens the happily ever after we’re all looking for. A really enjoyable read! Bianca Shaw’s life hasn’t been going so great lately … her beloved brother was killed at war, her no-good husband walked out on her, and now she’s really hit hard times. She could really use a helping hand right about now, and she can’t think of any other place to go except for to the one person her brother told her would always be there for her … his best friend Nate Fortune. Nate’s life has been in a bit of a turmoil lately as well. He’s still suffering from PTSD from that last mission in Afghanistan that didn’t bring her brother home, and he’s carrying a whole lot of survivor’s guilt in his heart. He was also thrown for a loop to learn that the father they thought had died years ago is actually alive and well and a surprise member of the renowned Texas Fortune family! 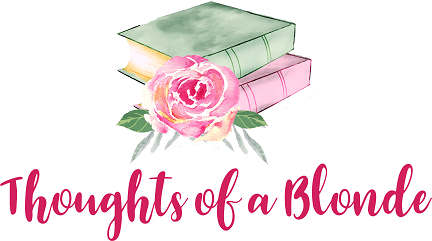 When Bianca shows up at his door with a suitcase and her son in tow, he doesn’t hesitate to take her in … but will she be more than his aching heart can handle?